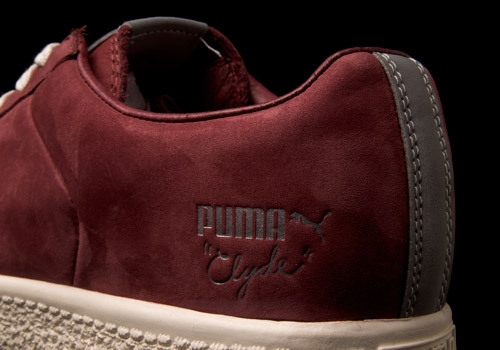 Once again the big cat teams up with Undefeated (UNDFTD) to release a pair of PUMA Clydes. Both PUMA and UNDFTD are companies that originated in sports but have continued to innovate and lead the way in street-style. 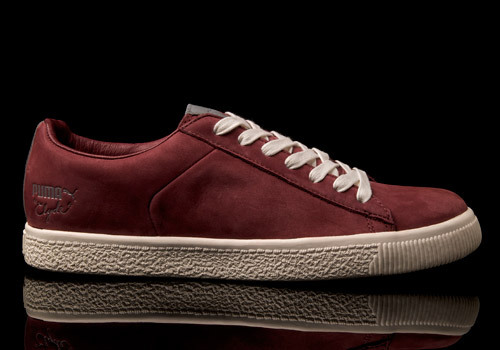 UNDFTD was co-founded by Eddie Cruz and James Bond, two big time sports fans, while the PUMA Clyde was created for Walt “Clyde” Frazier, a seven-time all star basketball player. This makes the Clyde the perfect model of choice for the boutique. 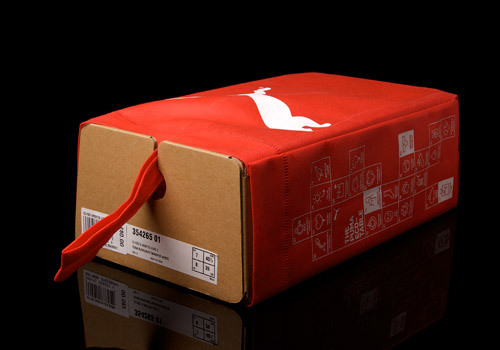 If you’ve noticed, these PUMA shoes are missing something. The formstripe! 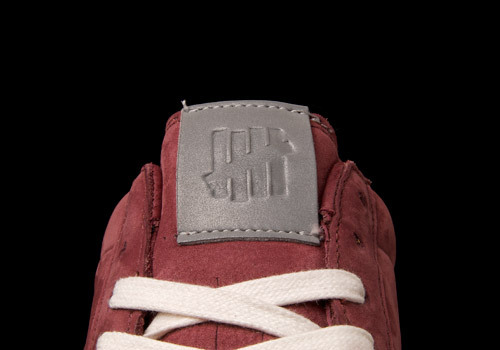 UNDFTD went crazy on this shoe by removing the iconic PUMA stripe that usually swerves across the side of the shoe. I’m sure PUMA wasn’t too keen on this idea but it resulted in a simplistic and raw shoe with a more clear-cut silhouette. 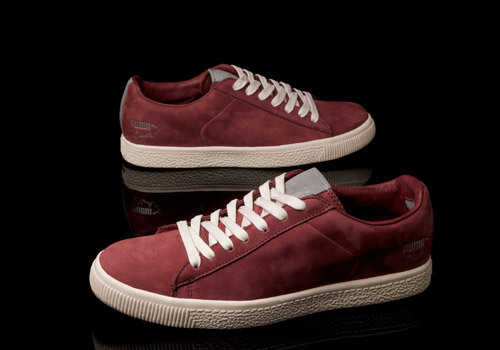 For the most part, the shoe is made out of a very elegant burgundy nubuck with same-colored leather lining and stitching. The back strap is a grey, reflective 3M material. 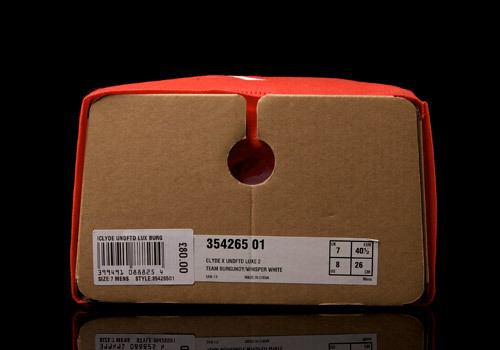 The same material makes up the tongue tag, where UNDFTD’s reversed tally mark logo is embossed while the PUMA Clyde logo takes a modest rest on the outer quarter. 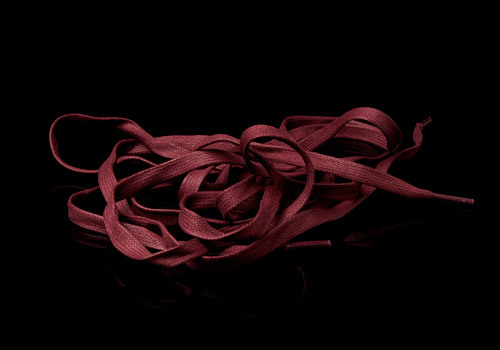 The shoe is laced up in white and sits on top of an off-white rubber sole. 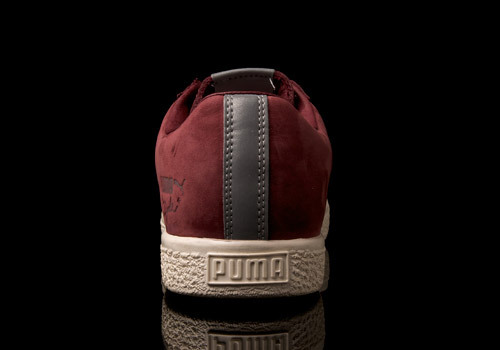 The front of the sole has a ribbed design with a gravelly surface in the rear housing the word PUMA at the tip of the heel. This pack, the Stripe-Off, has been released several times, each time changing up the colorways and materials used. It houses two more nubuck shoe, one yellow and one grey. It also contains an all 3M reflective pair which replaces the parts that were initially reflective with blue. Foot Patrol got the exclusivity on this fourth pair which was for promo use only. The other three were released in limited numbers at select retailers in February 2012. Do you recommend picking these up? I found them for really cheap in my size, but I’m unsure about UNDFTD Clydes since the canvas ones were really stiff.